When I began my sales career 20 years ago, my job was to simply follow “the script”. If you’ve ever been in professional sales, you’ll most assuredly know what “the script” is. But for the uninitiated, “the script” was the systemized sales process, enforced by your employer, and it was to be your undeniable roadmap to success. The script furnished the sales professional with the necessary steps and presenting points needed to move the prospective customer from lead to buyer. Just by adhering to and mastering the “steps to the sale”, laid out in the script, a hard-working newbie sales professional could develop a highly lucrative career. Each sales organization that I’ve worked for invested thousands of dollars towards training me on how to use their “script” to acquire leads, close sales, and service the client. 1) They know they have a script (or process) that works. 2) They know they’ve hired someone who will work the script. Believe it or not, billion dollar sales organizations have been built using this basic philosophy as their core foundation. Why? Because it works! When you have a sure-fire promotion system that pours in sales you’d be crazy not to put it into action. Right? My Point… Find What Works And Work It! However the system I’m referring to is more of a platform of media exposure than a “script”. I’ve found that, it’s not necessarily WHAT the brands are saying, it’s HOW they’re saying it. 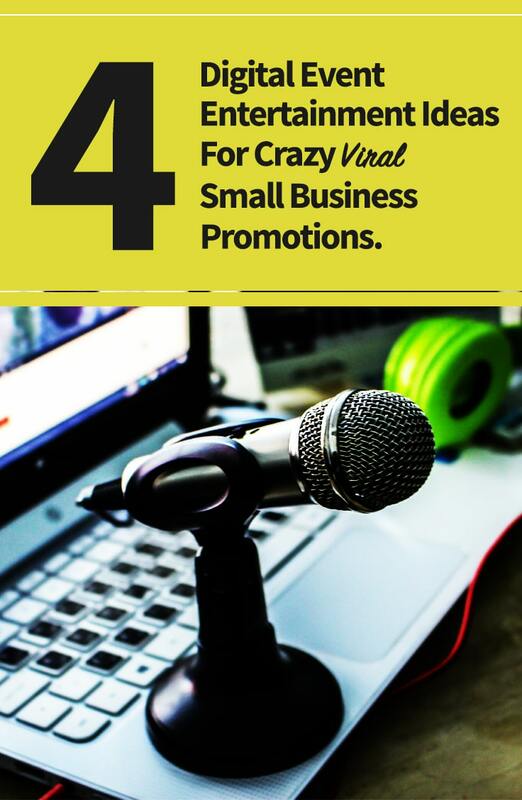 If you were able to discover the system big brands use to get viral awareness and land more sales, then you could easily duplicate the same system putting it to work for your own business. Well, today I’m going to introduce a few unique ideas where you can apply a proven script or process to create profit-pulling viral promotions for your small business. And it all begins with ENTERTAINMENT! I don’t know about you, but I can’t think of ANYTHING more viral than the entertainment provided in the movies, films and productions created in Hollywood. We all love to be entertained! And it just so happens that while we get drawn into our favorite show or movie we tend to drop our guards towards product advertisements. Big brands are immensely aware of this and know it’s a whole lot easier to connect with a relaxed, entertained audience, than it is to connect with an audience through the various methods of interruption advertising such as; TV ads, radio ads, banner ads, billboards, etc. Interruption advertising has been known to annoy potential customers, making them less responsive to your message. This is why big brands invest billions to acquire product placements in movies, partner with famous social influencer’s and engage with other forms of passive promotion. Blending your promotional message within entertaining content (native advertising), is a marketing strategy that has, until now, been out of the financial reach for most small businesses. There aren’t many small business owners with monumental budgets available for a shout-out in the latest blockbuster movie. But now, with social media and the internet, promotion through entertainment is readily accessible to any business seeking to attract a flood of leads, sales and new customers. In fact, according to this article on How Social Media Changed The Entertainment Experience, personal entertainment is claimed to be one of the #1 reasons people use social media. What’s so fascinating about this is that now a small business owner, wanting viral promotions, can easily employ a digital event entertainment marketing strategy to gain some of the success enjoyed by large corporations. By adopting a bit of the “script” used by big brands, you can incorporate entertainment promotions that build viral awareness, engages your prospects, and increases sales. Doing this on a local level can help you capture a huge portion of your market as many small businesses are clueless to the importance of digital event entertainment promotions. 1) Create A Web Show – One way to entertain your target audience is to produce a small web show. It could be a show that explains “how to” perform specific tasks with your product. Or you could hire a local influencer to interview previous customers about obstacles and successes they’ve experienced. However you theme your show, be certain that you lead with captivating entertainment and avoid trying to make a sell. Your objective is to build up a following of viewers and subscribers who you can establish a rapport with and eventually convert into customers in the future. 2) Host A Game Show – Can you make a game out of your business? Give your customers an opportunity to win free products and services by hosting your own game show. Once setup, promote your game show on Facebook, press releases and other media outlets to recruit contestants. Make it viral by hiring a professional videographer to film each of your shows so it can be shared all over the internet. You can enhance your exposure by getting local influencers in your area to be contestants and have them spread the news with their followers. 3) Produce A Mini Series – Does your business have a captivating story that you can share with your audience? Maybe you have a charitable cause that your business supports or your product somehow contributes to something extraordinary. Tell your story in an entertaining mini series that will be embraced by your target audience. A well produced mini series can be just 2 to 5 minutes for each episode and can quickly communicate the benefits of working with your business. Again, be sure to lead with entertainment first. Done correctly, viewers will see your business as an authority within your industry and keep you top of mind when they need your services. 4) Host Webinars or Podcasts – Just about all industries have do it yourselfers looking for guidance. Why not produce a webinar or podcast digital event where you show attendees “your secret sauce” they can implement to accomplish their goals? Bring on a few special guests (local influencers) who are capable of chiming in on the subject with valuable suggestions. Add interesting & fun segments that keep your followers wanting more even after its completion. I’ve presented just a glimpse of what’s possible with digital event entertainment promotions. There are many, many variations and ideas where you can use entertainment to WOW your audience. There’s very little competition on a local level so it’s not like you need a hit show to draw massive attraction. It’s all about getting started and building on your successes. If you’d like custom digital entertainment ideas, specific to your business, please contact us. You may also be interested in downloading our free ebook The Event Entrepreneur for exclusive digital promotion tips and strategies.